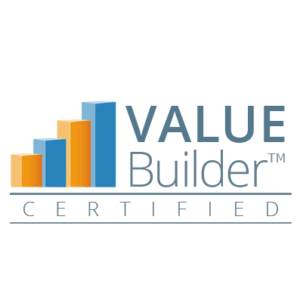 Why Get The Value Builder TM Certification? Instead of becoming a generic business coach drawing on this or that to help clients use your skills and experiences to complement a proven system. 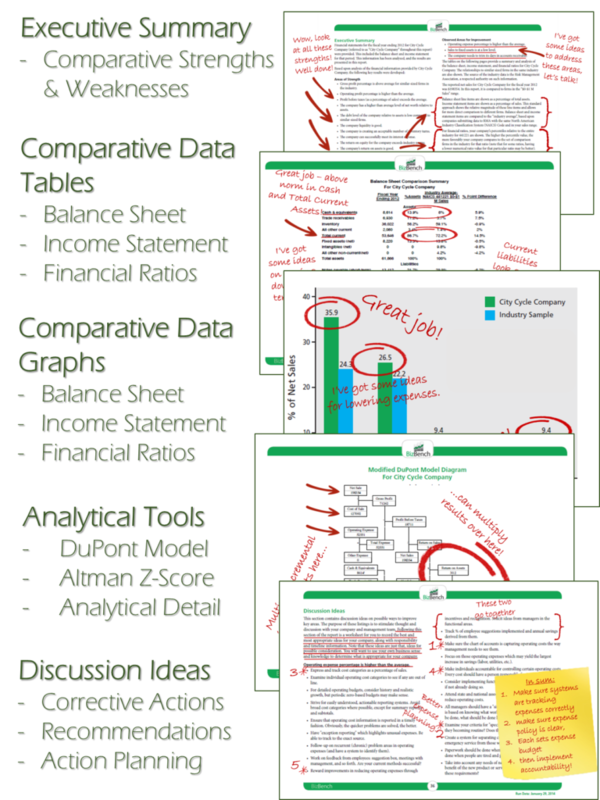 As a Profit and Growth Expert you work as a certified Value Builder (VB) provider. Working with business owners you will use specific processes and procedures to increase the profits and the value of the business. ✓ Professional Support (academic and practical) Now is the time to be trained in this growing profession that affords you the opportunity to give back to the business community confidently as a certified value builder. You will become competent in the 8 Drivers that insure the most value in business. No time away from the office. 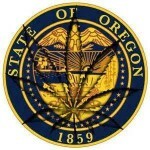 The system is designed to be self-paced, so you can learn when it is most convenient for you. If you have thirty minutes to spare between meetings, you can work through a module. The Summit is an annual gathering of professional advisors who come together to network, share best practices and share strategies for accelerating growth in their practice. For 6 months have access to the Value Builder lead warming tool and marketing platform with lead nurturing system to manage your clients, invite them to take the questionnaire, have access to the Value Builder reports, assessments, PowerPoint presentations and marketing materials. 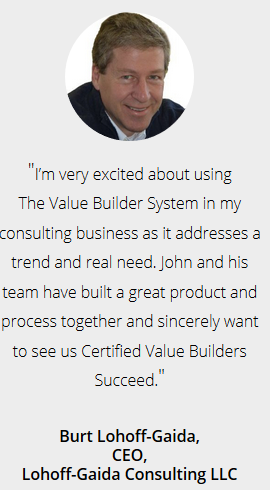 Value Builder License will agree to the VB global terms and conditions available at: https://valuebuildersystem.com/terms. ONGOING LICENSEE FEE of $99 a month to receive continued access to the Value Builder lead warming / nurturing tool & coaching. Call now for more information on how you can become a Profit and Growth Expert with Small Business Owners as a certified Value Builder TODAY – 1 (877)833-7909 Become a professional business coach as you consult and advise business owners as a Profit and Growth Expert once you are certified as a Value Builder provider. This is a profitable and rewarding career when you follow this proven turnkey system of marketing to find the business owners and offering the coaching when you use the 12+ module (month) process with your clients. On hand to help you with any of your immediate and timely needs, questions or concerns. Amie leads the support team in getting new Advisors set up on their license. Amie is a graduate of the University of Western Ontario’s Media, Information and Technoculture program as well holds a degree in Education. Having only recently started with The Value Builder System™, Amie has excelled in every responsibility she has been given. Amie has extensive knowledge of the portal and is an additional resource on the Customer Success team to help with any technical support, training questions or needs that clients have regarding the platform. We are committed to bringing you the highest quality customer support possible. That is why we provide you with access to three different levels of support within our Customer Success Team, who work to ensure your satisfaction and success. 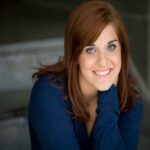 Laura Ferguson holds a Bachelor of Arts from McMaster University as well as a Certificate in Human Resources. With a decade of experience in training, on-boarding and customer satisfaction, Laura looks forward to helping make your use of The Value Builder System™ a success. Laura’s responsibilities include: training new advisors on our platform, questions about the portal, best practices for sales/marketing and to brainstorm the most effective ways of leveraging The Value Builder System™ in your business. 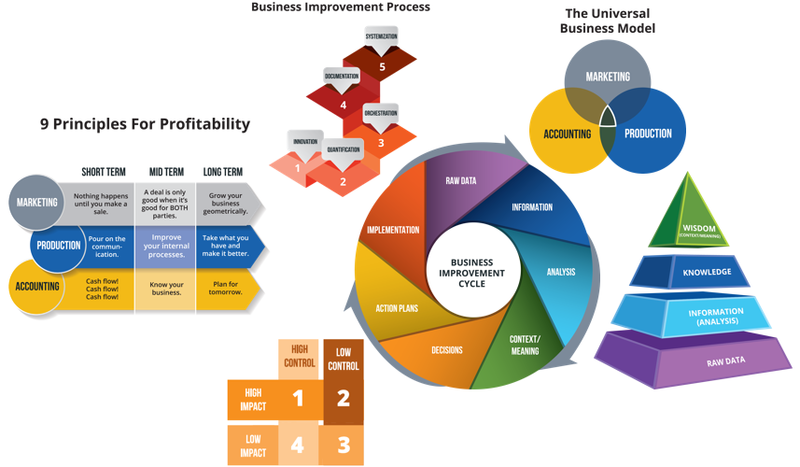 After using the Value Builder system we’ve grown our business consulting services (Universal Business Builder, a division of Universal Accounting Center) to work with owners of various industries to apply the 8 drivers within their businesses. We’ve see companies go from being in the RED, not being paid as owners to being “in the BLACK” as well as going to market and being sold. It’s time to apply these principles within your business AND provide these services to your clients. 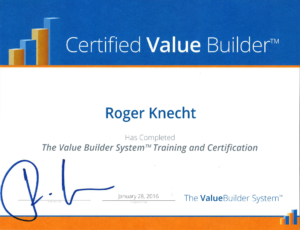 Become a certified Value Builder provider. As President of Universal Accounting Center® (UAC) Mr. Knecht is a favorite presenter at Universal’s seminars, combining wit and wisdom in sharing the principles of business success. Mr. Knecht has extensive experience in marketing and management with corporations of all sizes and has successfully implemented the principles of growth he speaks about. 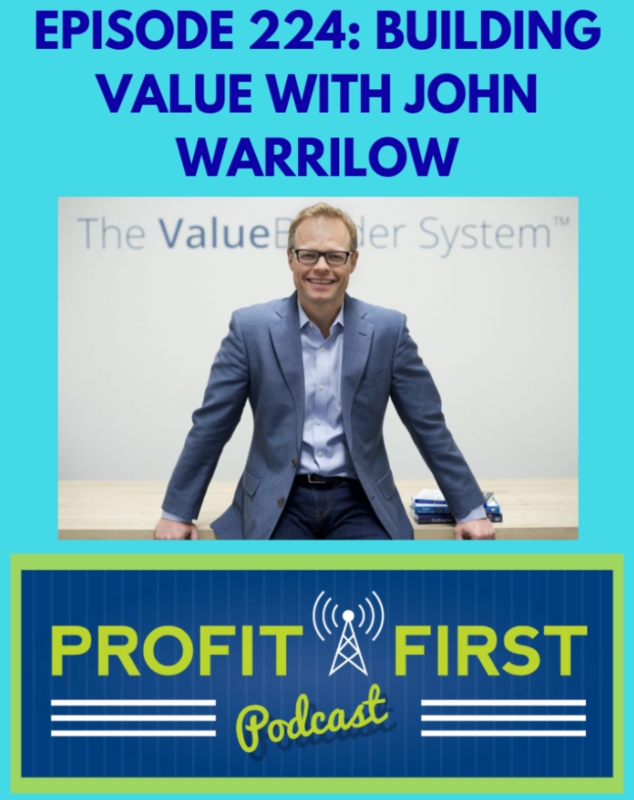 The Value Builder System was designed by John Warrillow, the author of the international bestseller, Built to Sell: Creating a Business That Can Thrive Without You. He also contributes regularly to Inc.com. 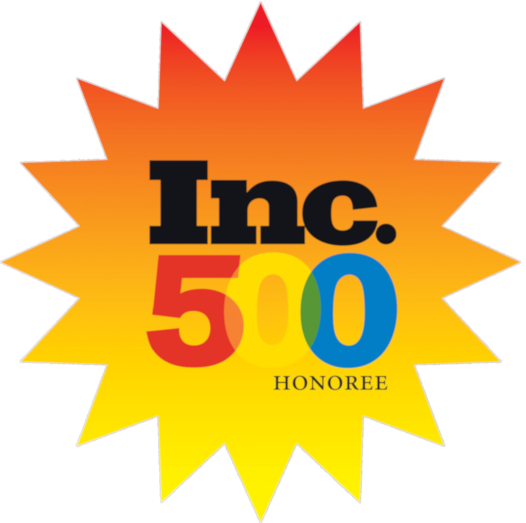 In 2008, John was recognized by BtoB Magazine’s “Who’s Who” list as one of America’s most influential business-to-business marketers. 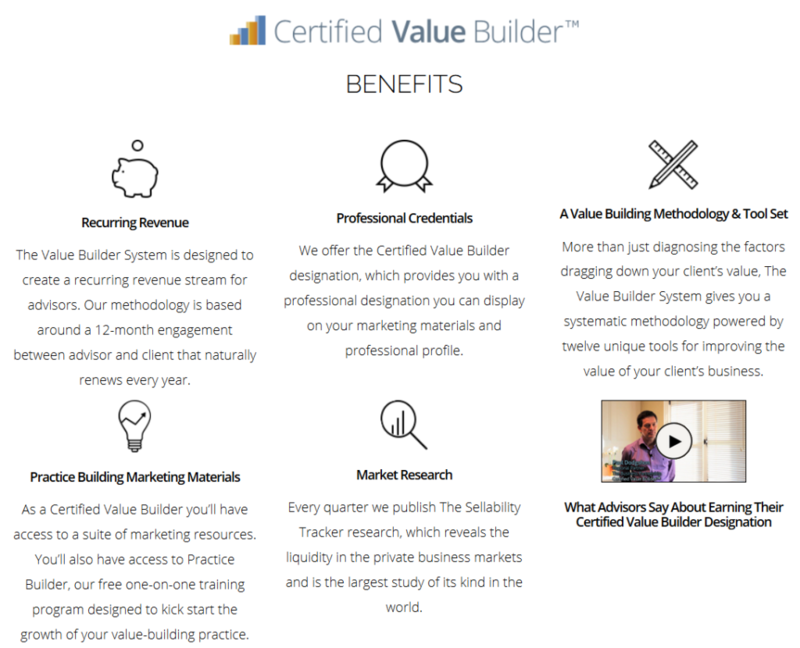 Why Earn Your Certified Value Builder™ Designation from The Value Builder System™ on Vimeo. 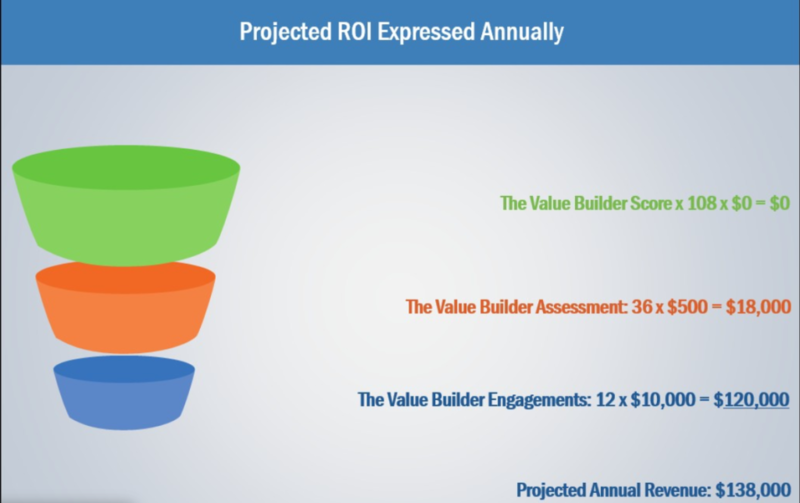 Value Builder Assessment from The Value Builder System™ on Vimeo. 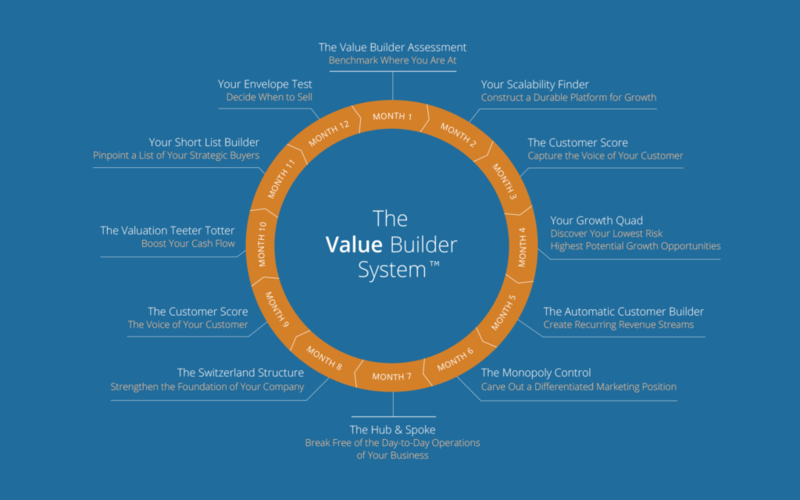 The Value Builder System is an online platform with a suite of tools designed to build company value over time. The business owner and their Certified Value Builder login to our secure system to complete exercises, set goals and track progress against a variety of value-building metrics. Respect and Appreciation – You will help people take control of their businesses and their lives. Getting Paid What You Are Worth – You are paid a premium because the ROI is so great with your clients. Why business owners don’t see accountants as their “coach” and what you can do to CHANGE it. 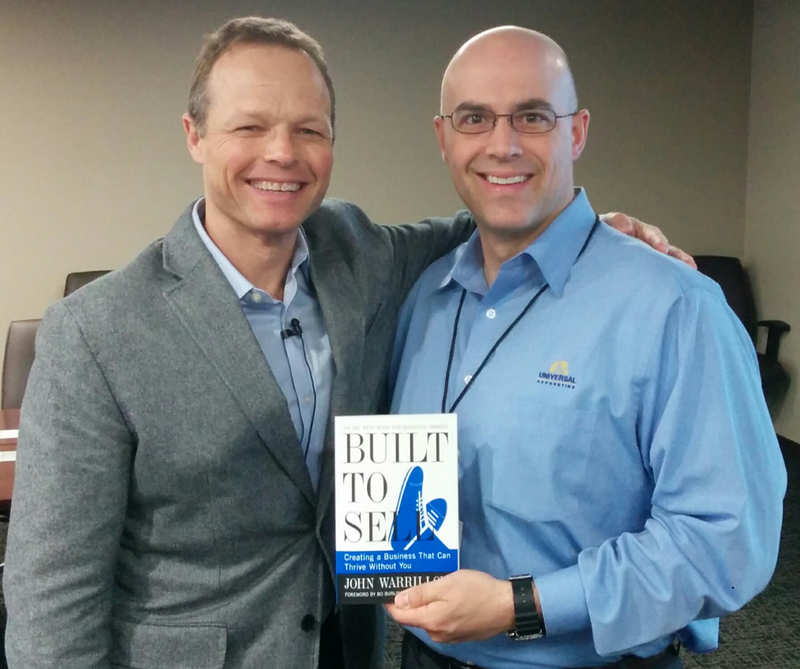 See what you can do to become a Profit & Growth Expert. Consider this, How many business owners have you met that you know you can help, but they won’t engage in a conversation about planning their eventual exit from their business? They’ll say they aren’t thinking about leaving any time soon. Or that they already have everything planned out. Or that they don’t have the time to spend planning an exit when they’re so busy running the day-to-day operations. There are 5 questions every advisor should be asking their clients—questions that will shine a light on helping an owner connect to why they started their business, what they want out of it, and how you can help them get it. 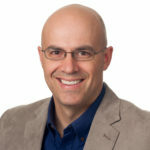 Leveraging The Challenger Sale methodology to win consulting work. – The Challenger Sale is a new sales methodology which is fast replacing the consultative selling approach you learned starting out. It’s based on the premise that today, business owners can learn a lot more about you — through sites like LinkedIn and Google – before they call you. Business owners are coming into a discovery meeting with a potential coach much more informed, and it requires that you take a different approach to selling – one based on challenging your prospect’s point of view. 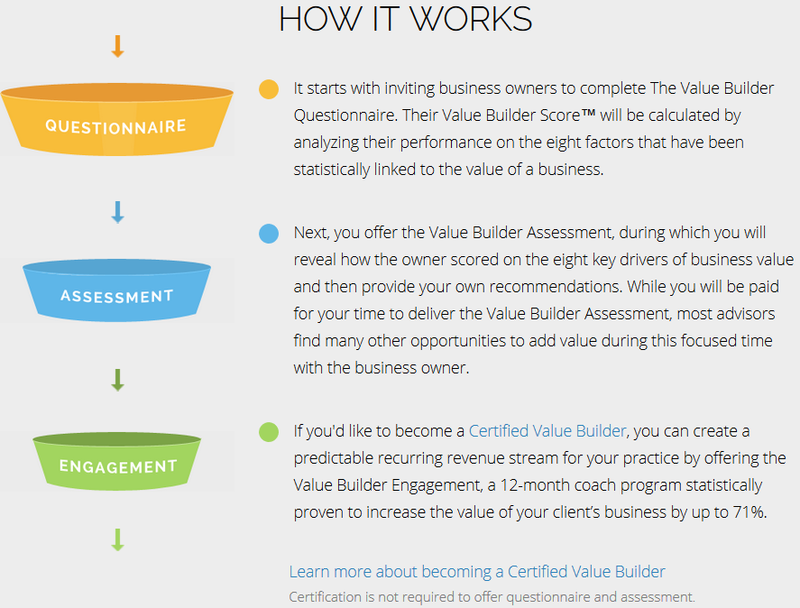 Why Owners Don’t Buy Coaching From Their Accountant from The Value Builder System™ on Vimeo. Let’s talk about how you land new business owner clients. This strategy involves approaching the organizers of events and offering yourself up as a speaker. Instead of having to fill the room with business owners, you’re “piggybacking” on the organizers efforts to drive attendance to their event and you get to be positioned as the expert. Sales Navigator is a paid product offered by LinkedIn. It gives you a way to query the LinkedIn database with very specific criteria (e.g. CEOs of roofing companies, with 10-99 employees based in Houston or software company founders based in San Jose who graduated from Stanford). Once you find a prospect, you can use LinkedIn’s messaging platform called “inMail” which, according to LinkedIn, is up to 30 times more responsive than a cold prospect call. 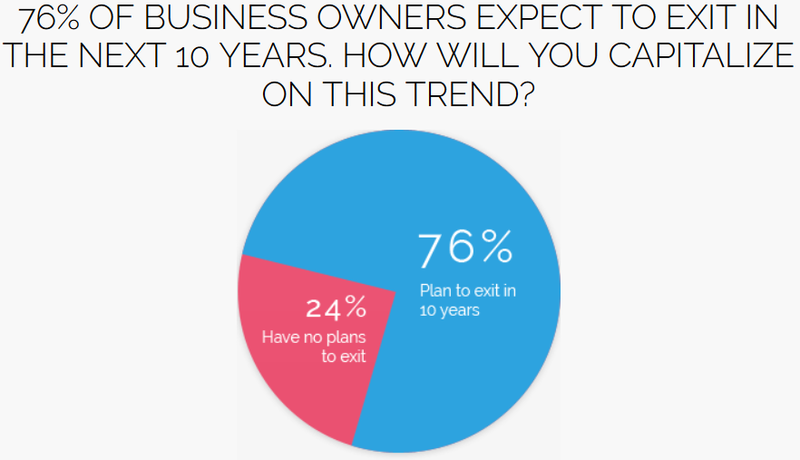 One of the inherent problems with being a business advisor is that it takes a while to develop the trust required to get business owners talking about a potential exit. It takes them months – even years – to become convinced that they are ready to exit. Trying to stay in touch with hundreds of owners can be exhausting if you’re doing it one-by-one which is why savvy professionals have a drip marketing campaign where they are sending out thought-provoking content each week. This ensures that you stay top of mind with your business owner prospects. 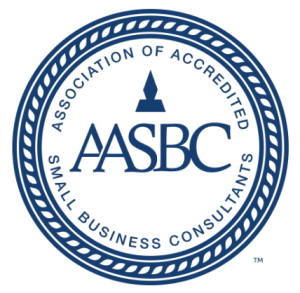 The Small Business Accounting class was one of the most enjoyable and probably the most useful and practical I have ever taken. That includes the MBA I recently received.